FusionCharts is now ready for your iPads and iPhones too. Why an intermediate v3.2? Where is v4? 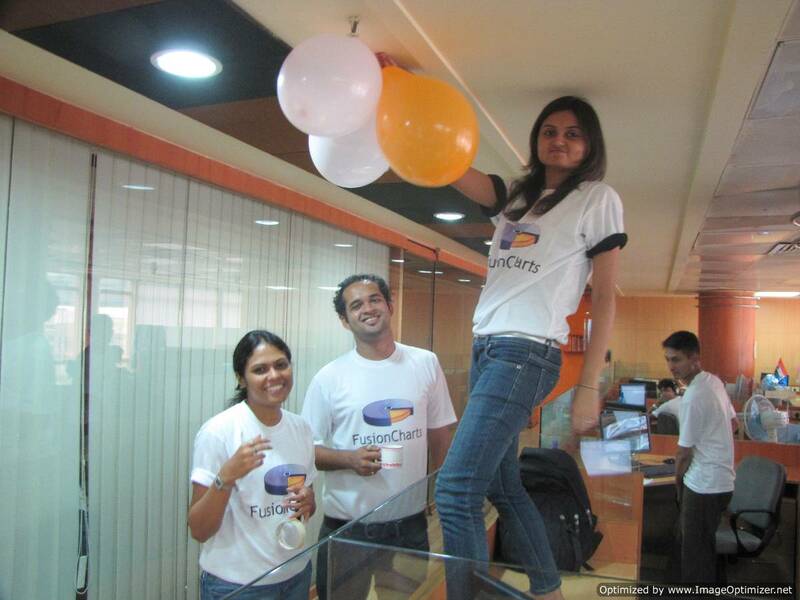 We are currently a FusionCharts Enterprise user. We are interested in knowing your plans and commitments to providing an HTML5 version so we can plan on when we may provide our mobile users advanced charting capabilities. Do you plan anyhow to support also HTML5? With Apple practically blocking Flash from its devices and other vendors are in strong favor of HTML5, I was wondering what are your plans here? What else is new in v3.2? With FusionCharts v3.2, we have also introduced a lot of new chart types like the Zoom/Pin and Pareto/Marimekko chart, brought in advanced reporting features like LinkedCharts and interactive legend, and introduced JSON as a data format. With FusionCharts v3.2, we have also introduced a new licensing model. Our previous licensing model had picked up a bit of dust and grime and couldn’t keep pace with the changing business models. We always try to keep our licensing as flexible and well aligned with the business needs of our users, and hence a new licensing model was inevitable. The new license model is very simple to understand. A website license is for a website; an Intranet license for Intranet; an Enterprise or Enterprise Plus license for both; SaaS license for commercial websites and OEM for software products. Pretty clear, isn’t it? In addition, we’ve also introduced a new Personal license that allows bloggers and individuals to put FusionCharts on all their websites (non-commercial), blog and personal projects without putting any restriction on the number of domains or servers. What happens to our existing customers? We’re glad to announce that for our existing customers, the same license that they bought still holds in place. That is, you still have the same license rights as mentioned in your license agreement at the time of purchase. For e.g., if you have a Professional license of FusionCharts v3.1.1 (or before), you are upgraded to FusionCharts v3.2 under the same terms as old Professional license. However, new purchases, hereon, will come under the purview of new licensing model. You can download a free upgrade to FusionCharts v3.2 from our Product Update Center. You can purchase FusionCharts subscription along with the product license itself or separately. To keep things simple for you, we have kept FusionCharts Subscription renewable yearly. For FusionCharts v3.1.1 (or earlier) customers, you can purchase FusionCharts Subscription for your older licenses itself. These subscriptions have been priced in accordance with your old licensing. As I mentioned earlier, many of the capabilities that we were planning for v4 have already been incorporated in v3.2 itself. Some of these capabilities include the zoom/pin chart, LinkedCharts, interactive legend with support for icons, Pareto & Marimekko charts, and support for JSON among other things. That being said, we’ll release v3.2 of other products in the suite and then resume development on v4. When v4 does come out, it will be the most powerful charting you have ever seen. We are also working on vertical solutions that allow you to build charts without writing a line of code. FusionCharts for PowerPoint, called oomfo, has been in beta since the start of the year. Our initial aim with oomfo was to allow creation of animated & interactive charts within PowerPoint, using an easy to use interface. Over time, we’ve added Waterfall, Pareto and Marimekko charts that are not supported in PowerPoint. We have also made styling of the charts similar to PowerPoint very easy. Going forward, we will make a further enhancements to oomfo, including addition of maps and gauges, adding more data sources and allowing for more chart types. The Pro version will be released early next year, but the standard version of oomfo will remain free forever. Earlier this year, we also released FusionCharts Free for Joomla, which allowed you to embed FusionCharts in your Joomla installations and configure visually. FusionCharts for SharePoint is also nearing beta. Check out the screenshot preview and request for a beta by writing to us. With the release, we are not only trying to give you a comprehensive charting solution for all your needs but also solid product literature to help you make the most of it. So we have revamped our entire documentation, brought in a new community forum and introduced a new enriched Knowledge Base. And of course, the blog has a new face. But, more on that later. When we decided to power-pack FusionCharts v4 into FusionCharts 3.2, make it iPad-ready and do it all quickly, it wasn’t the breeziest decision ever. But with a young and hard-working team, we have been able to pull it off. The release of FusionCharts v3.2 is one of our proudest moments and we sincerely hope you will enjoy using it. 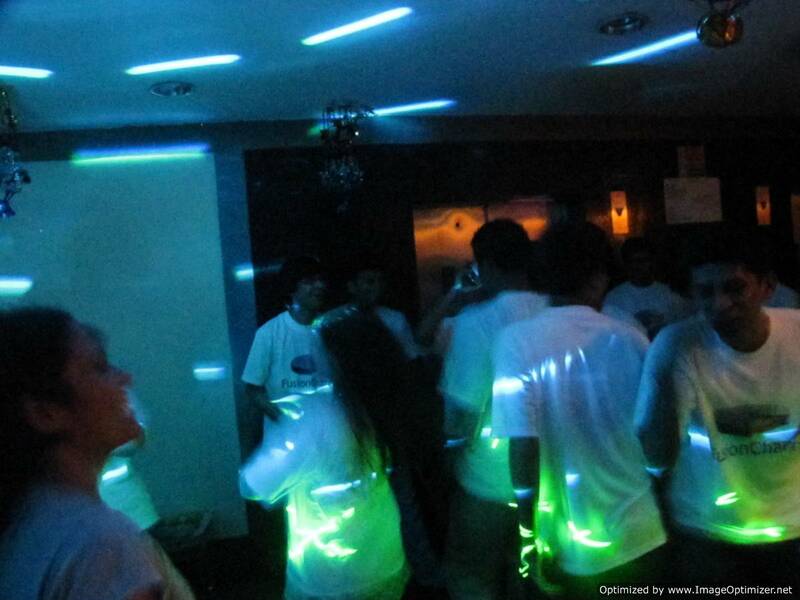 So on September 17th, a day after the launch of FusionCharts 3.2, we threw ourselves a party. 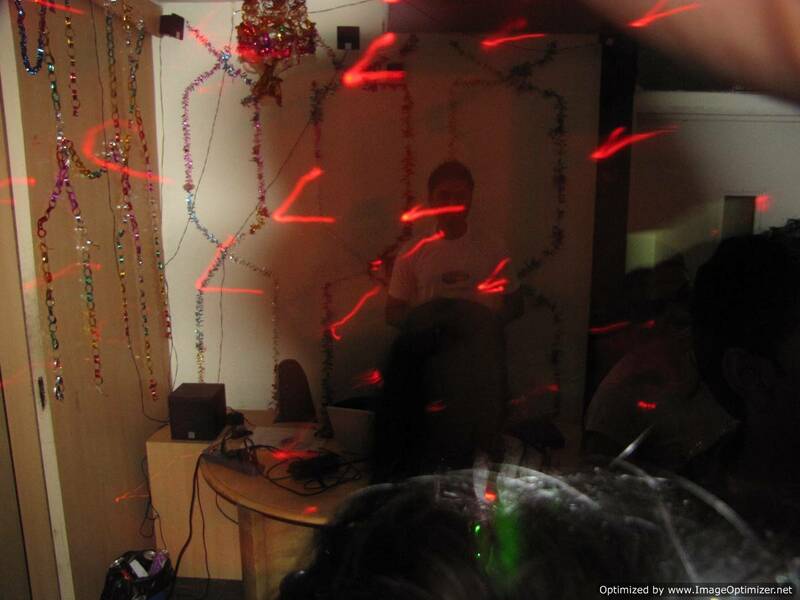 We converted the office lobby into our party zone and had the entire team together for celebrating a successful launch. Take a look. You can check out the complete album on our Facebook page. We await your feedback on FusionCharts v3.2. Go ahead give it a try. I wonder if there is any way to view the legend THROUGH THE IPAD, on my application because I can not see. Have you been able to get this working now? If not, use showLegend=’1′ in the <chart> element. Hi , i tested both on my website and my iphone . I found that the result on my iphone is big difference with the website. Please any where i can post the bugs? Anyway is very nice product ,thanks! Hi! Do you have any plans to make HTML5 implementation of FusionMaps? Yes, in the coming quarters. We will put out out more details once things are finalized. Not as of now Jefferson, but we should have that in the next couple of quarters. Could you give me an estimated time for the fusionMap support? Sorry, I didn’t check that date. I suppose it is already supported. Is possible to make zoom in these maps as other maps like Google Maps? 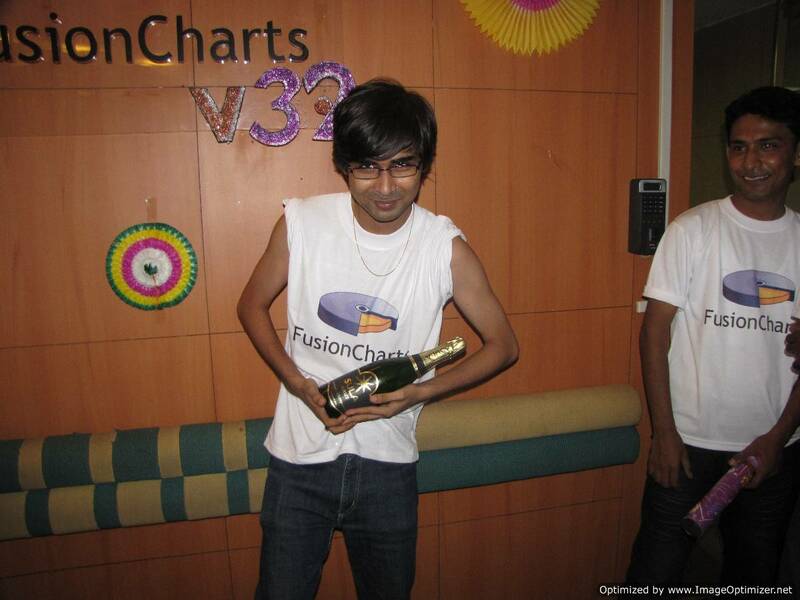 Please drop us a mail at “support[at]fusioncharts[dot]com” with the data and other details of the chart. I have been using fusion charts since long time.But facing bit problem while viewing it on mobile devices.I am not able to see the bars,lines charts etc on my android and iPad devices. I have used the trendlines for few charts and I am able to see only trendlines and not the corresponding charts on mobile devices.Same is for line, pie charts etc. When hovered over the chart I am able to see the tool tip of the values and also able to go to the drill downs,but cannot see the actual charts. I am able to see all my charts on the web in Firefox,Chrome,IE but not in mobile devices. Please confirm if you have used jQuery v1.8 or later along with the older version of FusionCharts. If yes, prior to FusionCharts XT v3.2.2 – SR4 had few compatibility issues while using jQuery v1.8. The issue has been resolved in the latest version. Please try downloading the latest version FusionCharts Suite XT (v3.3.1 – SR3) at: http://www.fusioncharts.com/download/. Yes, you will have to rename it as jquery.min.js. Else, you can place both the version of jQuery files in the same folder. Also, suggest you to check out the latest version ng. Next post: We turn 8 today!